The Institute is on the upper east side of Manhattan, just a block from Central Park and the Metropolitan Museum of Art. There are many parking garages near the Institute and the Subway is close by. 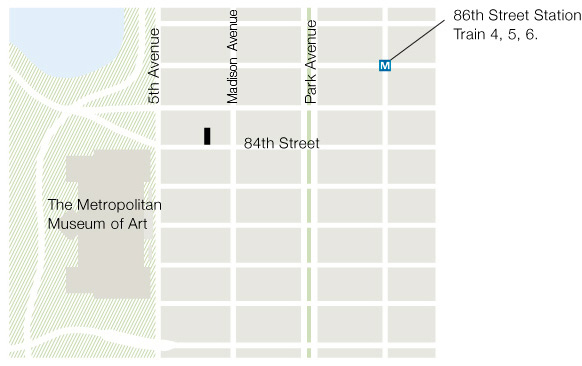 The nearest Subway stop is at 86th St. and Lexington Ave., at which the 4,5 and 6 trains stop. The Institute is a short walk from this station. Please see the map at right for directions from the Subway to the Institute.